For a personal showing call Coldwell Banker, Linda Gilbert, 616-887-7307. Weekend Getaway or Year Around Living...the choice is yours! 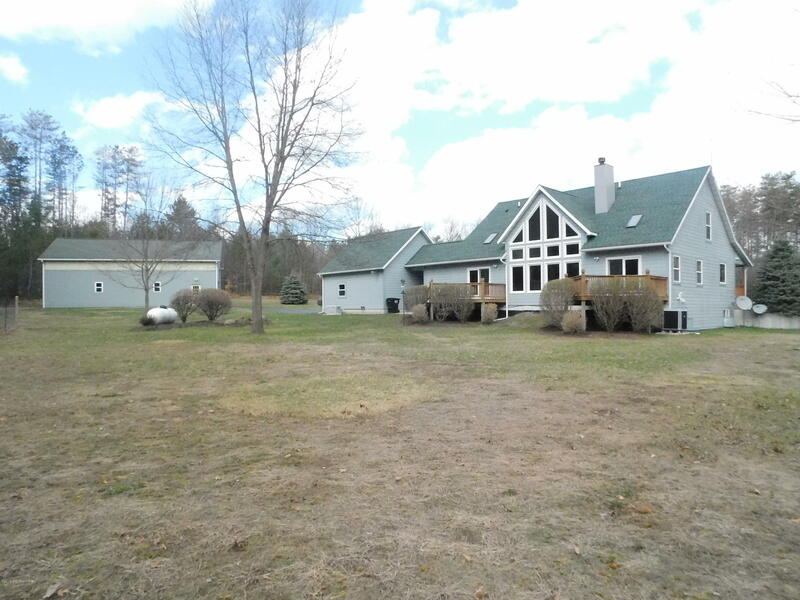 Located minutes to Croton and Hardy Dams plus many many inland lakes you can go boating and come home to the privacy of your own 10 acres. This home has state of the art heating, cathedral windows, vaulted ceilings, 2 backyard decks plus a wraparound covered front deck. Enjoy the stone fireplace from your living room or from the upstairs balcony which overlooks living room and kitchen. Formal dining room or office on main floor too . Home features wood floors, huge master bedroom with a private deck. Both levels are awesome views and lots of wildlife. Fenced in garden area has a cement walkway and lots of fruit trees included in the professionally landscaped yard. Wide lot is approx 640'E(road)x500'Nx755'Wx836'S 10A Seller does have survey dated 3/14/18. State of the art NTI Trinty 95% efficency boiler system, 80 gallon NTI hot water tank, HEIL 115 BTU furnace and HEIL pump. New zonal system controls and in floor heating system. On demand/instant hot water to main floor 1/2 bath and master bath. Whole house stand by 22KW generator services home, garage and pole barn. ADT security system for the times you are away. Practice from distance markers to existing gun range for improve your shooting skills! Full unfinished basement has moisture sensor so never worry about pipe bursting and damage to your possessions.